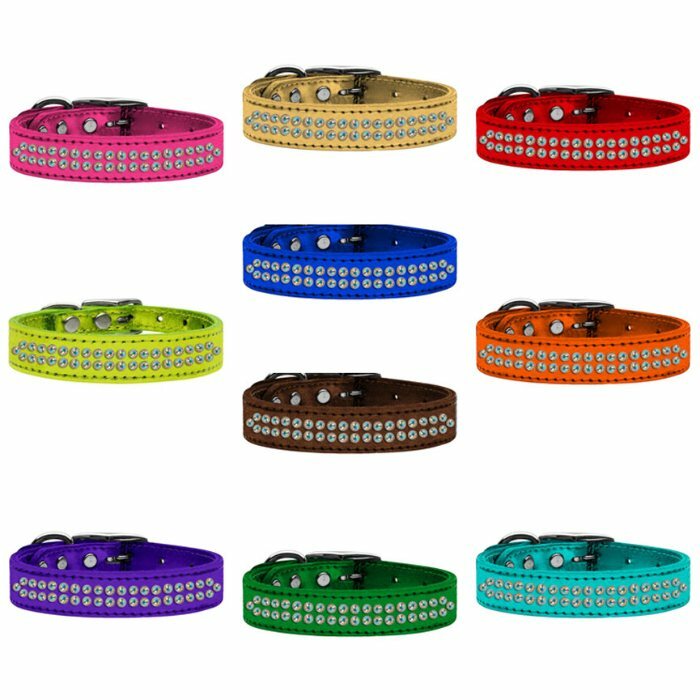 Awesome med size dog collar with two rows of clear handset crystals on metallic 100% 2-ply genuine leather. 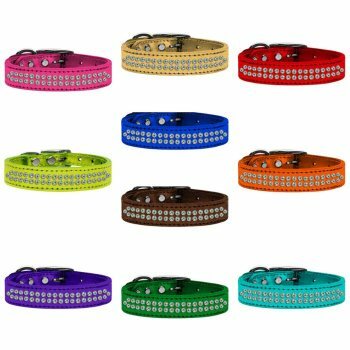 This collar is 3/4" wide, available in 10 colors and 3 sizes,16,18 and 20. Premium rim set crystals riveted into leather for durability. Sturdy buckle and a D-Ring for tags and leash attachment. Great color choices with crystals on leather!